It's happening... Fast!! So fast it's nearly upon us! Where?? ''The Beer Garden marquee'' @ Pembroke District; Dundrum Town Centre. When??? Saturday; September 15th 2012 - 2.30pm to 10pm. What???? A craft bottled beer festival with 100's of craft beers from around the world; live music; great food and an incredible atmosphere! All housed under the garden marquee. 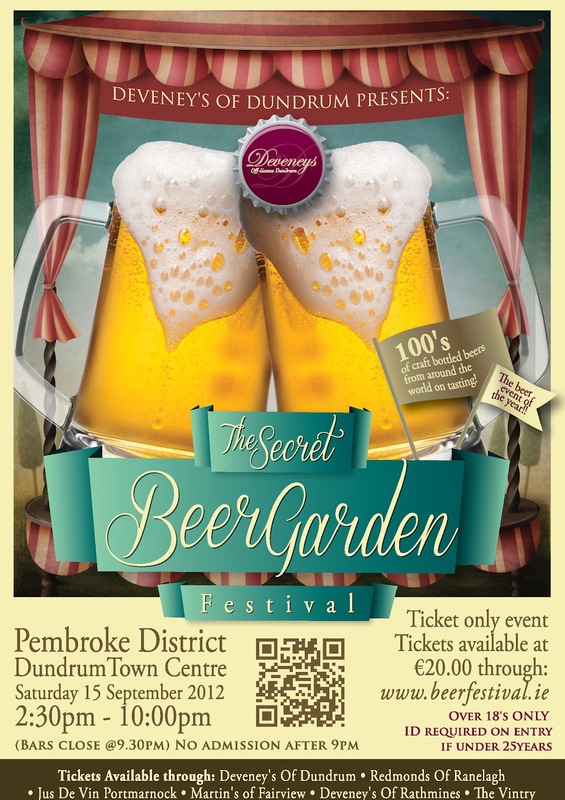 Taste the world of beers; meet brewers and beers specialists; eat your weight in great food and enjoy the Secret 'BEER' garden festivities!!!! - Deveney's of Dundrum; 31 Main Street Dundrum. Don't forget this is a ticket ONLY event; leave no room for disappointment!